Thanks Rody and thanks to all for having me! 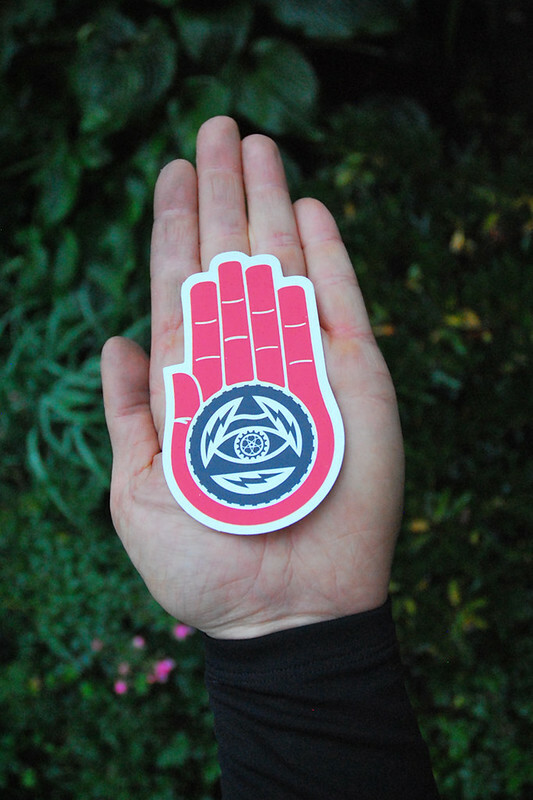 Thought those of you attending and those of you who can't make it would like to see some sneak peeks of the heat I'm bringing. Full build shots after the show. Till then, enjoy. 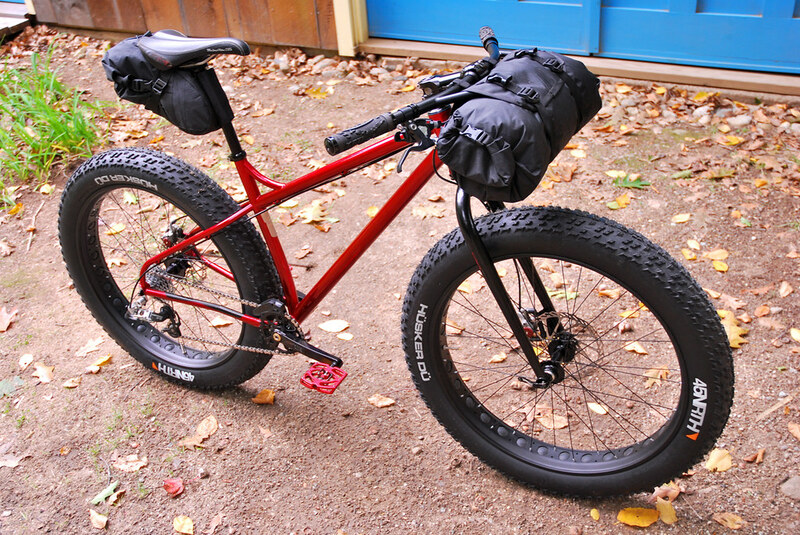 44 Bikes "Big Boy" Fat Bike (this bikes been out there on the interwebs for a while, so you get the full monty). 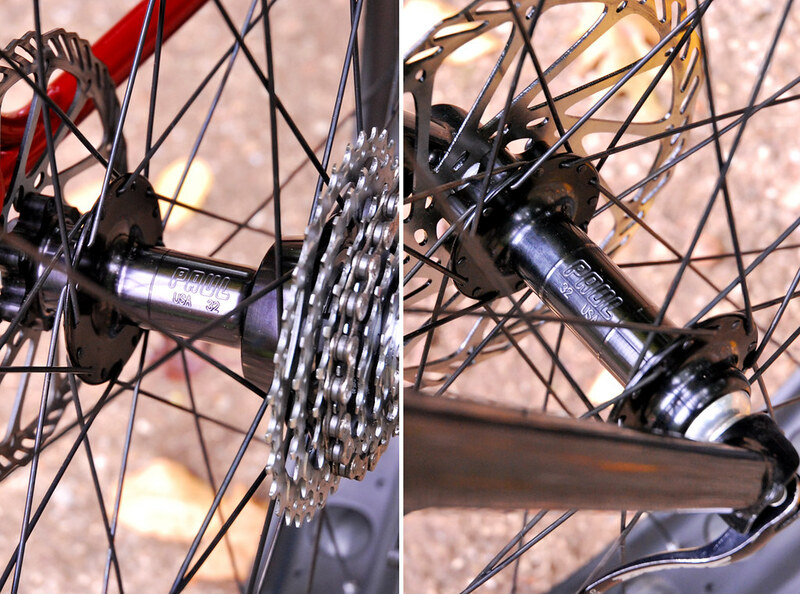 Sporting the first production Paul Components 170mm Rhub to round out the Paul Comp wheelset (front is their 135 Whub). I9 Driver to boot. 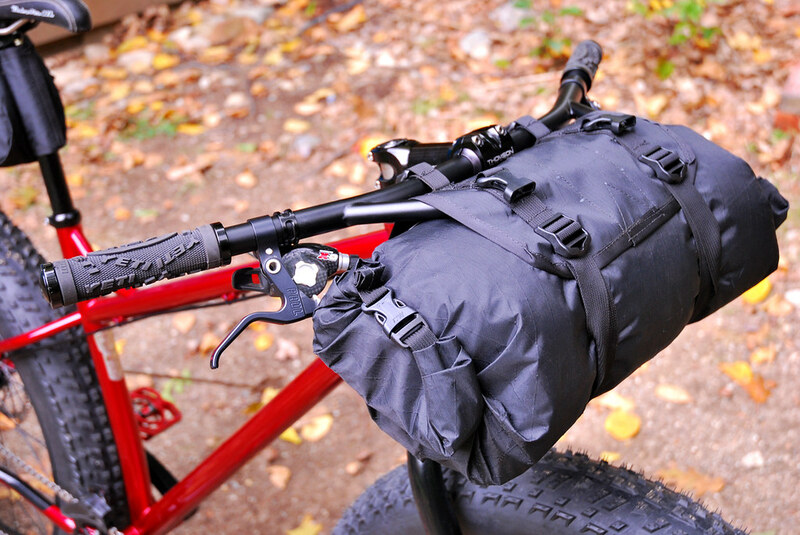 Sling, roll up dry bag and expanding seat pack sewed up by yours truly. 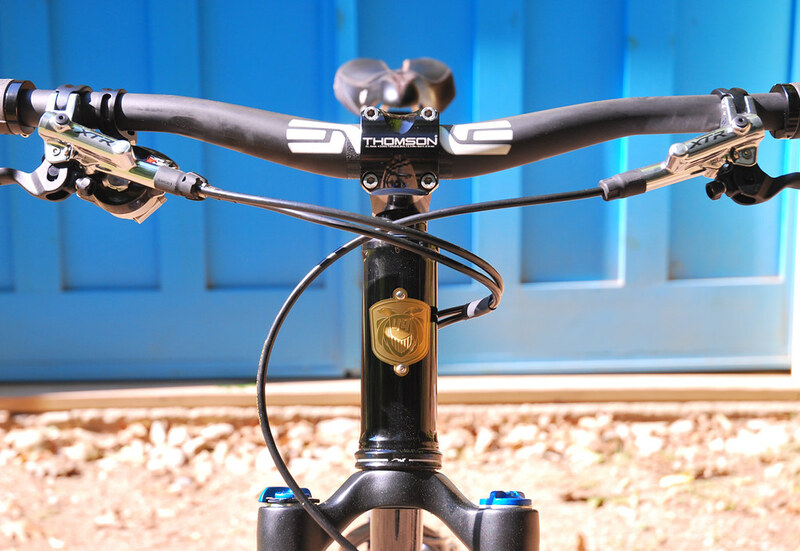 44 Bikes "Kid Dangerous" 29er mountain bike. 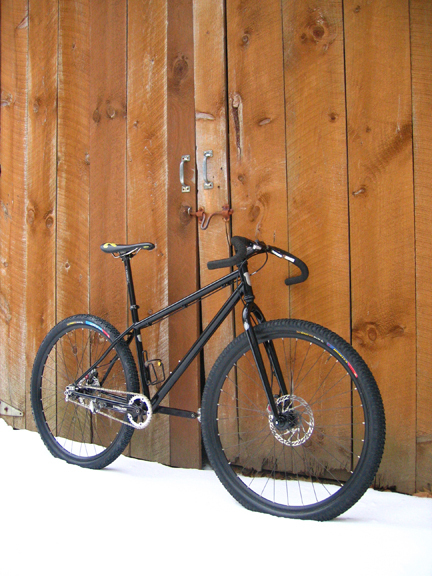 My custom mountain bikes are dubbed "Kid Dangerous" and come in many flavors. This is just one of them. 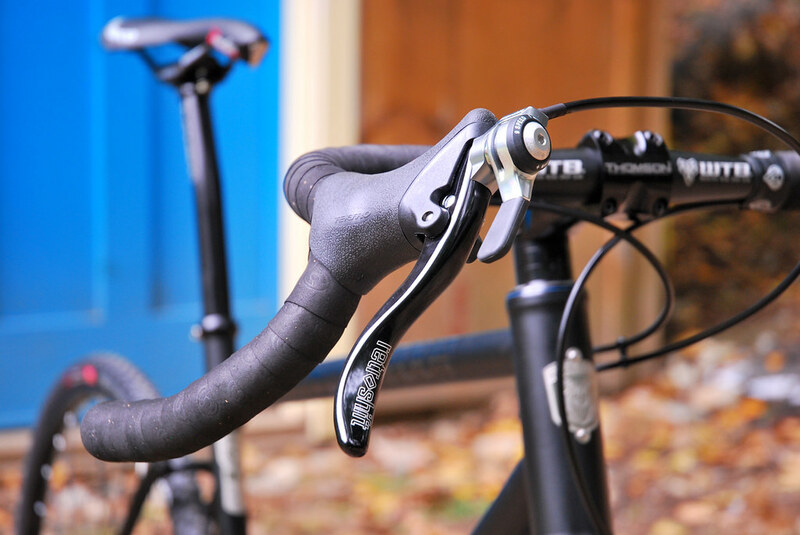 This one sports Titanium Nitrided head and seat tube badges. Let's get in nice and close. 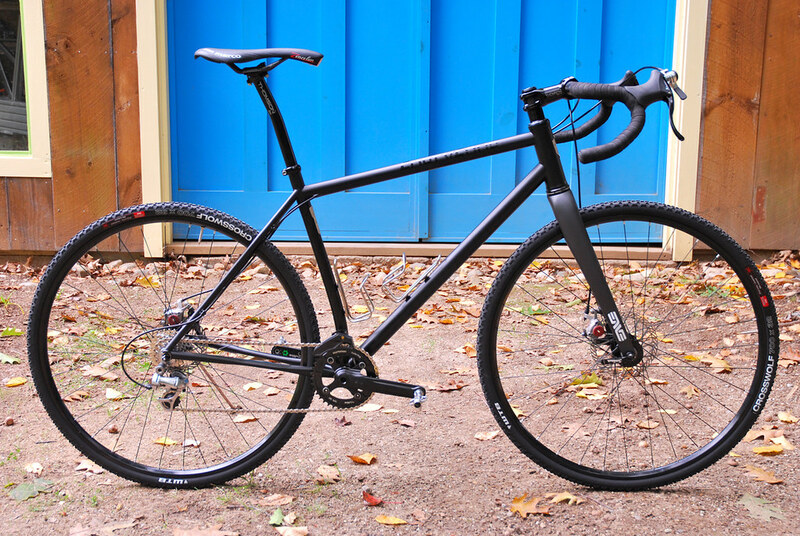 44 Bikes "Huntsman CX". 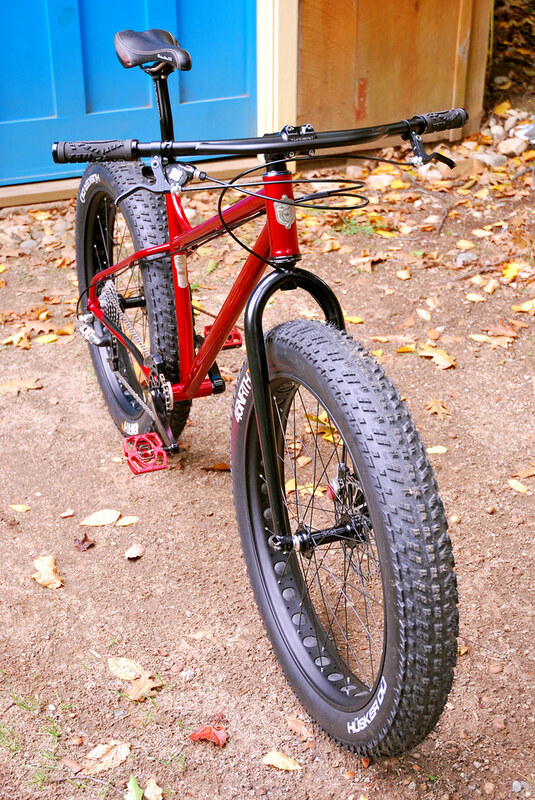 My 'skinny' tire bikes are all nicknamed The Huntsman. 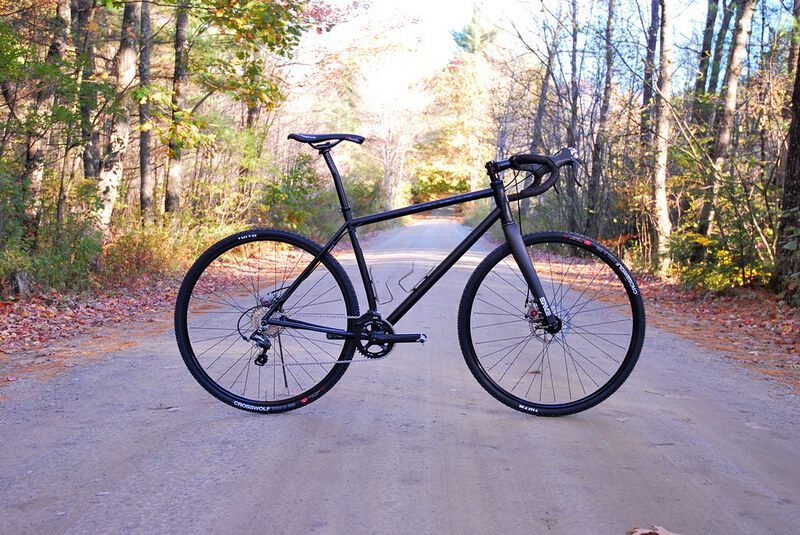 Road, Fixed, Cross, Gravel, Touring. 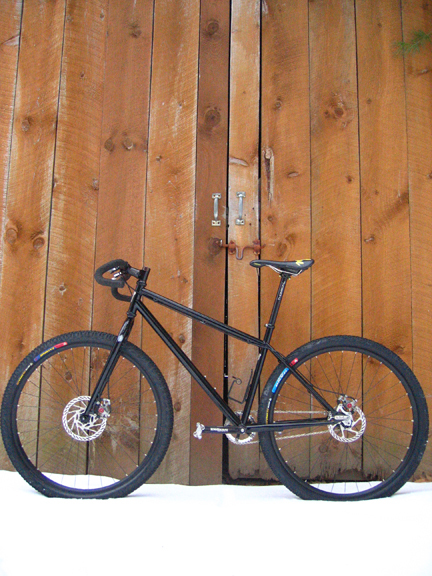 Anything skinny this is your bike custom tuned and honed to your particulars. 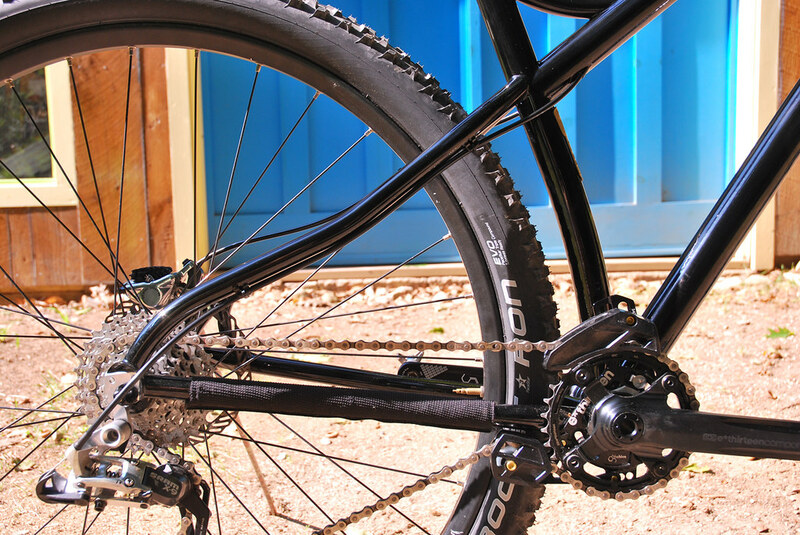 This one sports 135mm rear dropout spacing, internally routed top tube cables, disks, Retroshift does the shifting duties (dedicated 1x9) and sports 406.4mm chainstays with plenty of mud clearance thanks to a radius seat tube. Hope to see all of you at the show. Stop on by and say hello! Details here. You are mastering the fine art of the tease with these shots and the facebook shots. 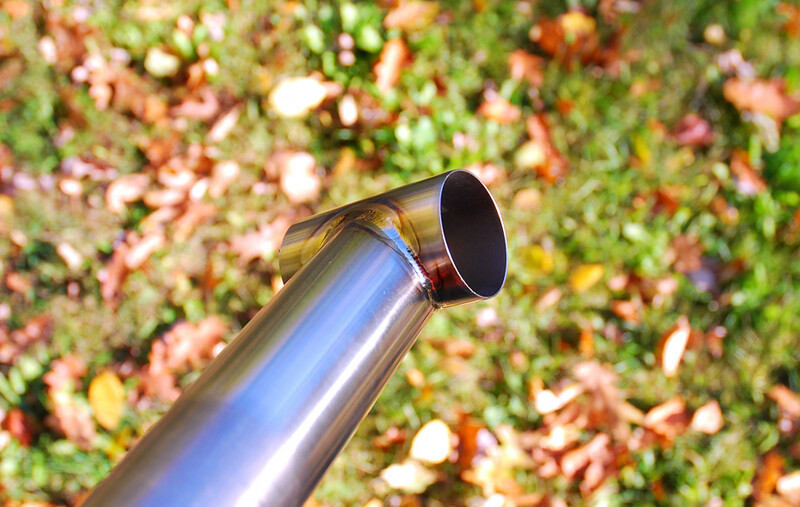 Look forward to seeing full shots of the CX bike. Good to hear I have done my job. Full shots as promised after the show. There are a few out there who will be posting shots of these bikes just before the show too so keep your eyes peeled. Looking forward to the pics after the show. Lovely looking bikes, and great back story. Thanks for taking the time to share so thoroughly. I see the three show bikes all have very simple paintjobs. Is this a conscious decison? 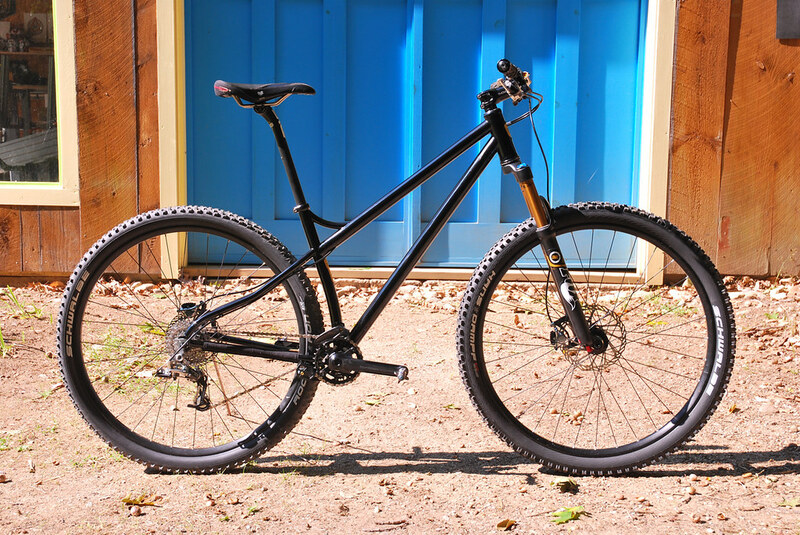 What are your thoughts on frame finish and it's place in the overall look of the complete bike? 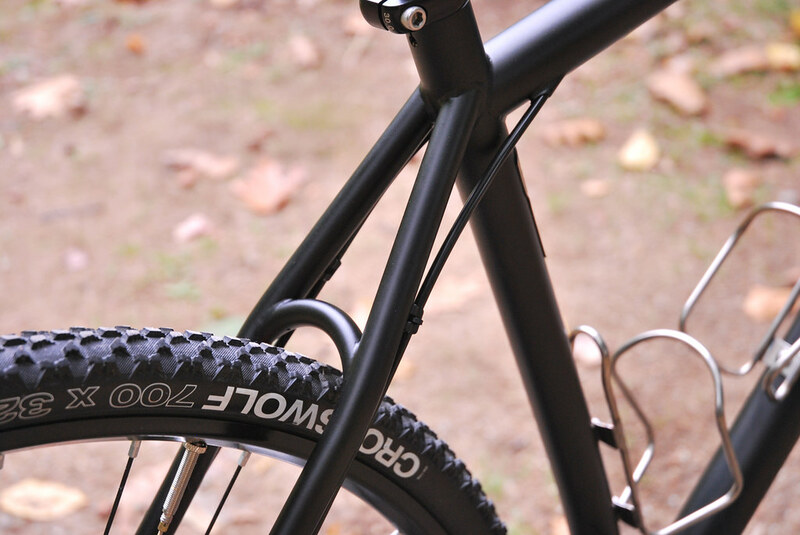 None of the bike's have a FD, is this to keep things simple or more for tire clearance and short chainstays? @Firedfromthecircus: Thanks for the kind words regarding the builds/work. 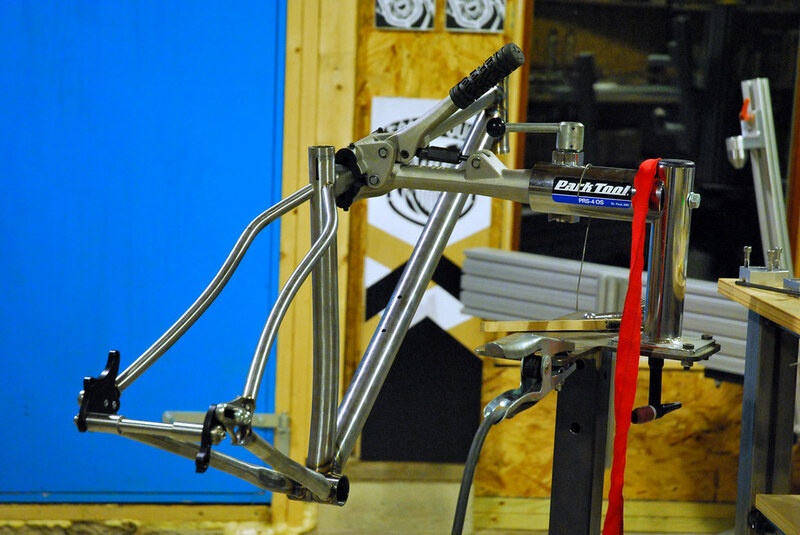 The powder coats on all three bikes are indeed very simple and consciously done so. I was looking for cleanliness of line and balance of both positive/negative space. I do however love all the really intricate paint jobs and appreciate the work that goes into them on other builds. But for my first show, especially so, I wanted it to be about the bikes, their function and their overall form and how all the elements work together towards one end/purpose. Thoughtful lines, but purpose built. As I said, I appreciate the paint work of others and if a customer really wants something special for their build, that is their decision and I will help guide them through that process. 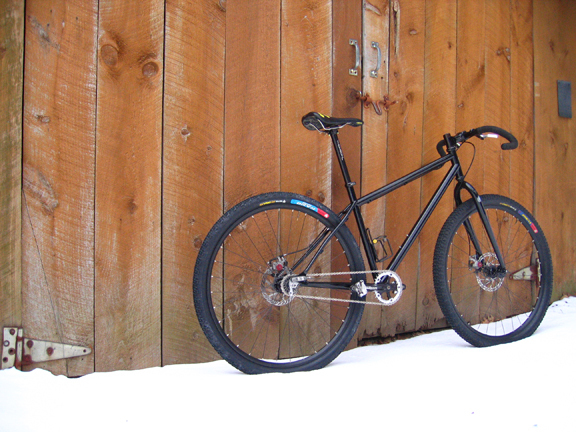 Personally, I feel like that can distract from the elements and purpose of a bike. I place a lot of weight in functional aspects of builds but balance that with form and balance of line weight as i construct the bike. Everything must have a purpose. If it is something just for the sake of it, it is unnecessary. 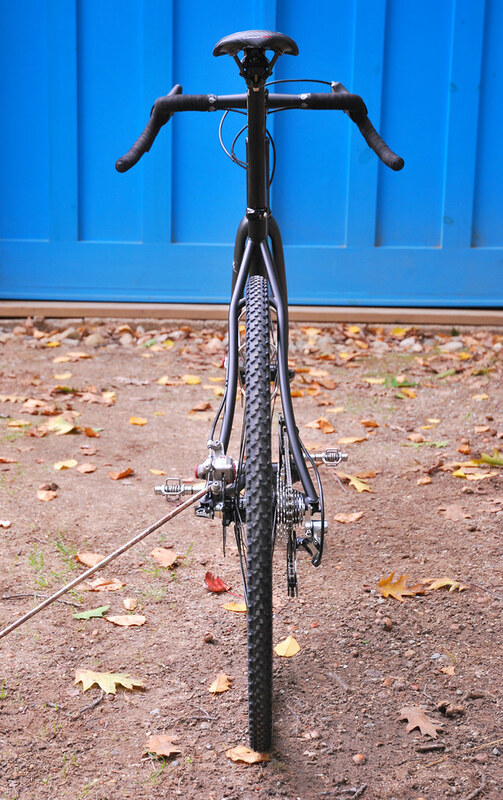 @dgaddis: Indeed none of the bikes at the show were sporting front derailleurs. Simplicity is key for most of my personal builds. 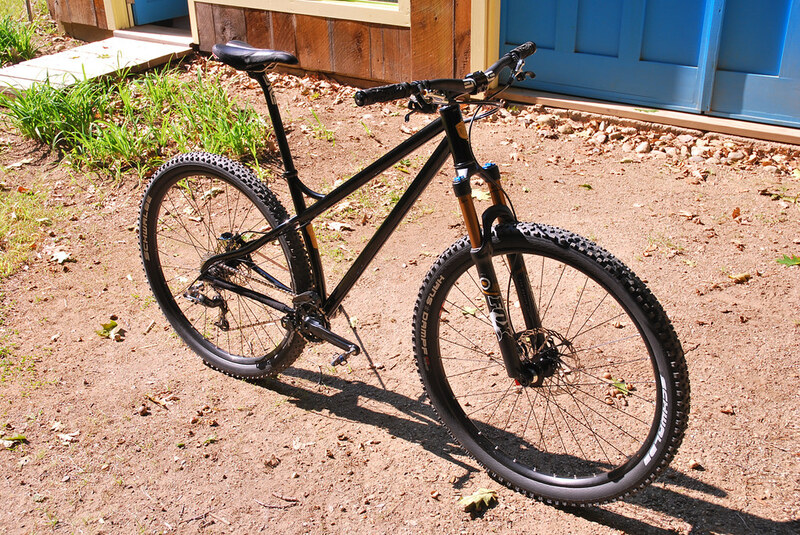 2 of the bikes were 1x9's and another was a modified 1x7 actually (my personal trail bike). Again, these were purpose built and focused on simplicity. 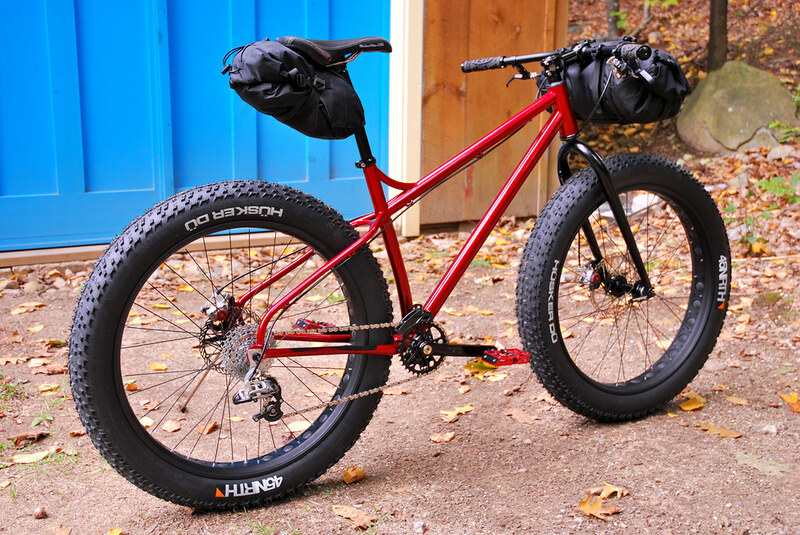 I've got a fat bike in the quo that will be doing 2x10 and 16.5" chainstays which will be a great challenge. 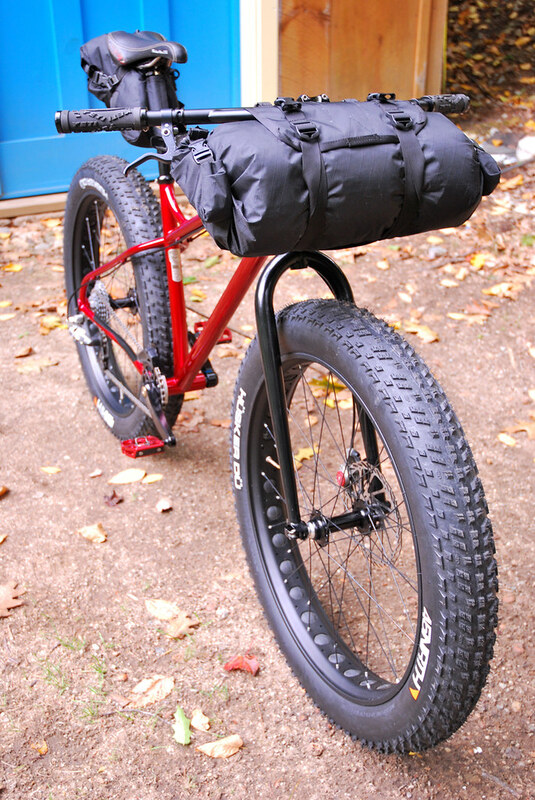 Personally, I feel as though for trail / gravel type builds, there is more than enough gear range in a 1x setup (1x9, 1x10 etc). Some customers may feel differently and that is fine. 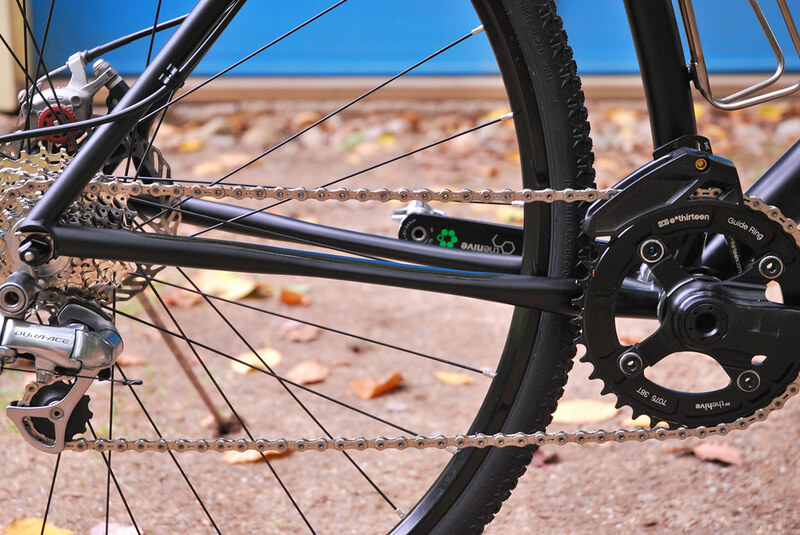 If the customer wanted 2 or 3 up front, I'd have to check clearances and balance that with other requests for the chainstay length for what is feasible given the additional restraints. It's the old "Light, strong and cheap? Pick two..." scenario. Wow, I just lost 3 hours reading through your smoked out thread and your metal shop link in the 2nd post too. Well I say lost, but actually they were educational and inspirational, so a worth while use of the time I think. Really great stuff. I am in the process of 'sorting' out my workshop; though not actually doing anything productive thanks to my broken wrist. I think next week it will all kick off, and I have a level to aspire to now after reading this. Thanks for the kind words Toby. Balance and proportion are something that I strive for through the build process. Everything is considered and everything has a reason for being. Best of luck with your own shop and get well soon! 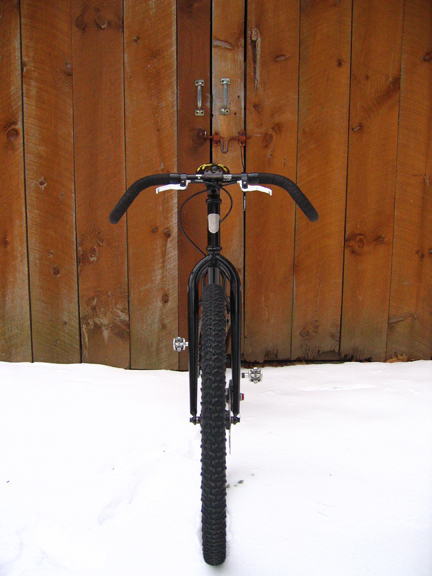 Little taste of today's effort towards completing this hardtail 29er with Paragon adjustable drops. Pretty stoked on those seat stays turned out. You are killing it son. 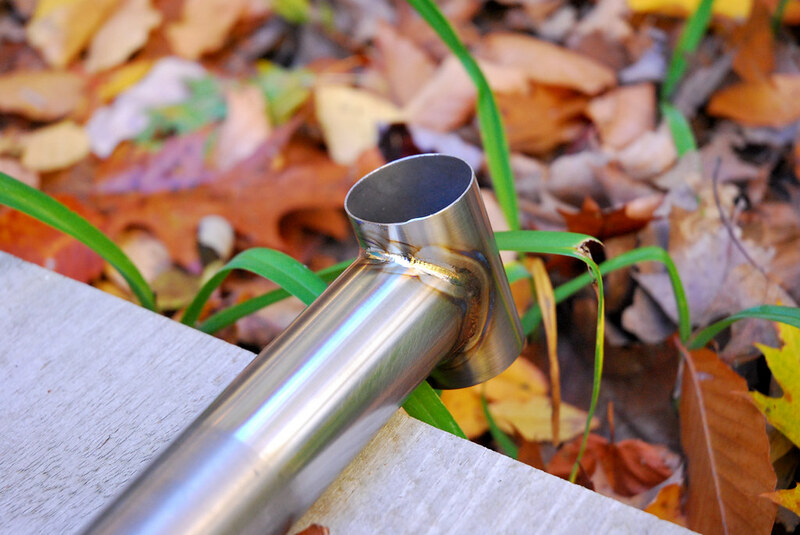 Speaking for myself the drop tube designs are the answer for someone like me. 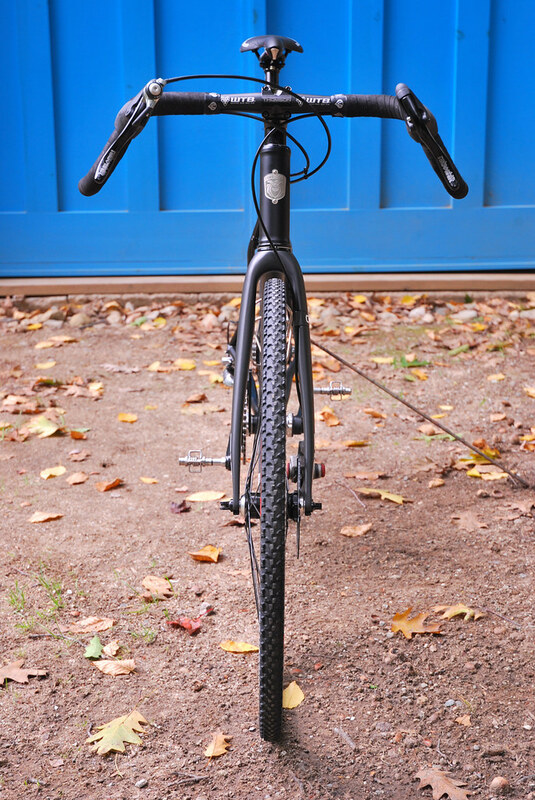 Because I'm so tall, having the option to drop my weight below the virtual level top tube will make sketchy riding much more fun and controllable. I'm a reverse pendulum!!!! Great great great bikes dewd. Thanks for the kind words Too Tall. I'm trying to put my best foot forward with this! Only a maximum effort will do. I friggin' love that Kris. The only change I would make is a slightly thinner looking fork to balance the lines even more but can't argue the performance of the one chosen. My must have list has grown buy one. You can see the progression here between the two builds and I'd like to revisit this bike at some point perhaps next spring to update it. This is technically a "Snake Driver". 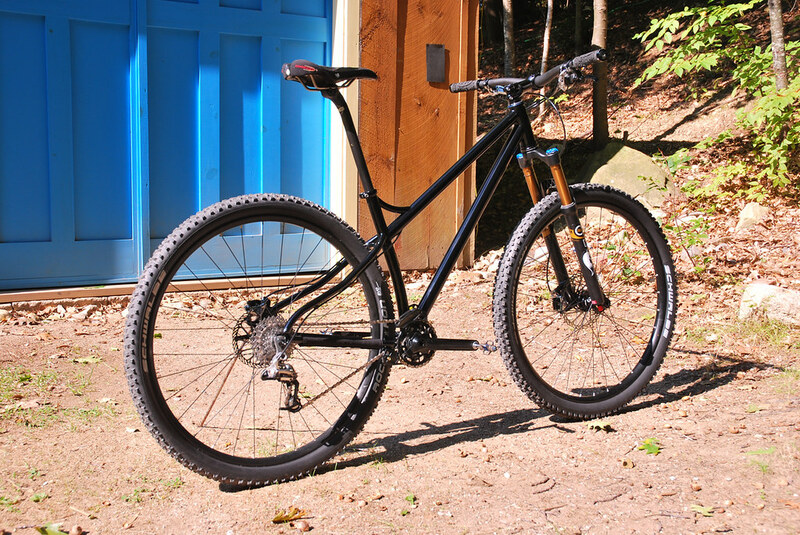 Run it with dirt drops, riser bars, fat tires, racks, packs. It's the do all bike. Good stuff! I love this bike! I saw this on Retroshifts facebook page and was in awe. Today I tried my hand at Titanium for the first time. No back purging so I can separate that from just working with it and getting the feel. Also no sense in wasting gas when I'm just practicing. I'll take the time to set up a solid back purge setup in the next 1-2 weeks. Not too bad for my first go - I'm happy. 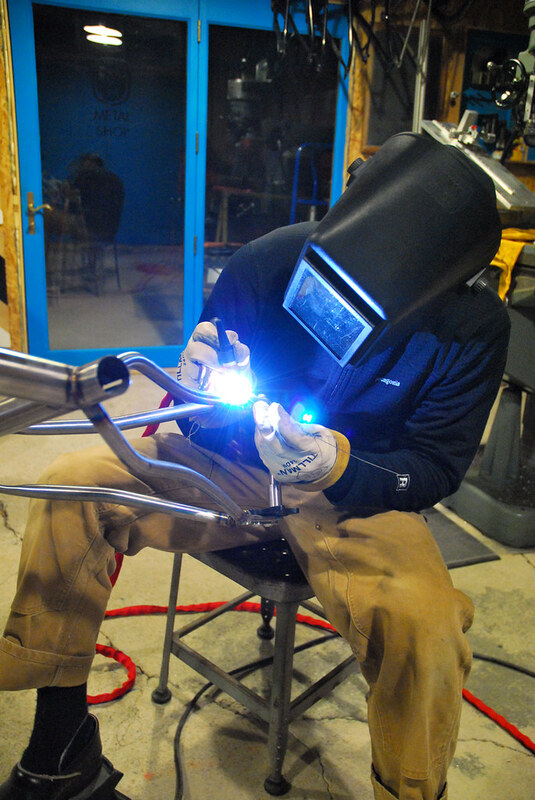 This stuff welds like butter though - I was not expecting just how smooth it welds.